Westminster is a fully welcoming and inclusive Christian faith community serving the University of Virginia and the greater Charlottesville and Albemarle areas. We are a kind and nurturing community that loves spending time together and creating opportunities for fellowship. We are intellectually and theologically curious with dynamic, fun and challenging educational opportunities for adults and children alike. We are proud of our history and legacy of justice work as well as our continuing mission and outreach ministries and continue to be committed to living our faith out in the world. All are welcome into the full life of our congregation — to worship, grow, and serve with us. Westminster Church affirms and accepts each person as created by God with unique qualities, talents, and diverse interests and abilities as well as cultural heritage, color, circumstances, and sexual orientation. We believe we experience the fullness of God in one another and strive to receive each person as a gift. Westminster Presbyterian Church was organized in 1939 with 81 members. 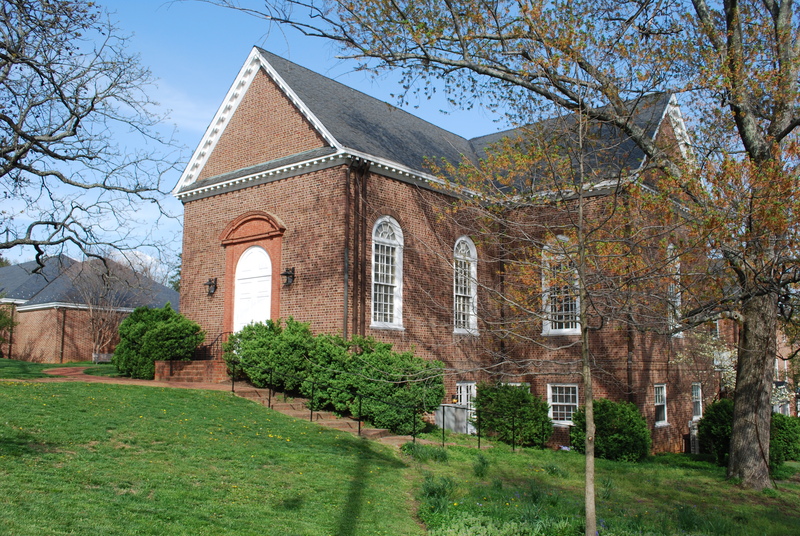 The church was established by Presbyterians who felt called to provide a congregation close to the University of Virginia to minister to young persons, faculty, and staff. Ministry in the University community is still the fundamental mission of Westminster, though many of its 600+ members are not directly related to the University of Virginia. Westminster is a member congregation of The Presbyterian Church (USA), the Presbytery of the James, and actively supports ecumenical movements. The growth of the church since the Sanctuary was dedicated in 1939 has necessitated several expansions. The church office building was erected in 1951, followed by the educational building in 1958, the Fellowship Hall and Library in 1966, and the education building/Child Care Center addition in 2000. The white building on the corner of Rugby Road and Gordon Avenue, now known as Common Grounds, was purchased in 1956 and is home to the student center and several non-profit community organizations. The design of Westminster Presbyterian Church was influenced by the Abingdon Church in Gloucester Point, Virginia. The Abingdon Sanctuary was erected in 1755. The building has been updated so that the sanctuary and fellowship hall are handicapped accessible and include gender neutral bathrooms.